Are You Ready For Farm Ownership? Are you ready to own a farm? Before delving into owning a horse farm or hobby, you need to ensure that you’re financially, physically and mentally prepared for all of the obligations that come with it. Before you start your horse farm search, you can now figure out approximately what you can afford. Our mortgage calculator can determine monthly payments of a mortgage loan, based on the sale price, the length of the loan you want, your down payment percentage and the interest rate. Keep in mind, farmland financing is different than conventional financing, but we’ll be there to assist you in every way. Many first–time farm buyers forget the responsibilities of owning a farm, including taxes and maintenance. But if you’re financially prepared, owning a farm can be an extremely lucrative investment. Owning a farm is more than just being able to grow your own crops and breeding champion horses. It's also about being financially prepared to maintain the farm over the years, understanding that repairs and upkeep are your responsibility. Buyers should be prepared to take on these expenses while understanding the potential for the rewards. It can be discouraging to find that your salary won't stretch as far as the farm you want to own. But try not to sacrifice too much of your income as this can easily make farm ownership and paying the mortgage a burden. Lenders will want to know about every debt you have, from car payments to student loans. They take this very seriously so be sure you have a record of everything you owe. Remember, financing a farm is not the same as financing a home but we’ll be there to guide you every step of the way. Are you looking for a hobby farm or a property where you can breed champion horses? The answers to questions like this can help you decide exactly what type of property is right for you. And we’ll ensure the land is zoned in the right district. 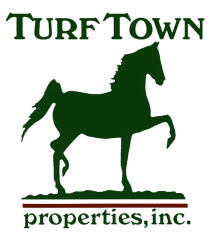 You need an experienced agent that understands horse farming and knows the area. Our team of agents looks forward to helping you find the right farm at the best price. We pride ourselves on exceeding our clients expectations and helping them achieve their real estate goals. Let us know how much you can afford and exactly what you’re looking for and we’ll find a way to make this happen for you. Keep your goals in mind when visiting a farm. Often, the idea of owning a farm can overrun your practical sense, so try to keep your state of mind in check. Keep a list of must-haves and wants in a farm and judge each farm by your list. You can go over this list with your real estate agent and we’ll help you stay on track while searching for the perfect property. Engage the services of a good real estate lawyer. We can recommend several lawyers that specialize in farming that might be a good fit for you. Make sure you take the time to interview them and that they’re someone you trust. Transferring land and farm ownership can be tricky and costly, but using an experienced lawyer can save you thousands of dollars in the future. Make an offer. Putting in an offer may sound overwhelming, but we’ll be sure to go through all paperwork with you before submitting it. Try not to get your heart set on the property just yet, because they can easily be rejected or countered. Get all necessary inspections done. If the farm has a home, you’ll want to make sure to get a home inspector to check for any items that may cause later issues, including asbestos, mold, pests, etc. We’d be happy to a pleasing selection of home inspectors. From consult to closing, we are here to help you with the process of buying a farm. Don’t hesitate to contact us for more information about how we can help you buy the farm of your dreams.